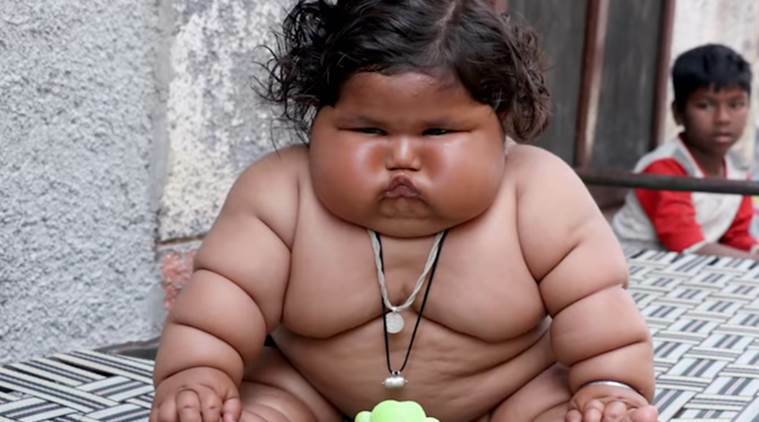 After world’s heaviest women its eight month old Chahat Kumar, an obese Indian child from Punjab who weights over 17 kgs at just eight months. Chahat’s mother,Reena Kumar, says her weight was completely normal at birth, but she started putting on weight within a few months. “When we took her to the doctor, he told us that they would first need to collect blood samples to start with any kind of treatment but it turned out to be difficult as her skin is abnormally hard. World’s heaviest women who came to India for her weight reduction treatment at a local facility. The 36-year-old Eman Ahmed was under observation for a month before she she has undergone surgery. Egyptian Eman Ahmed, suffers from a rare genetic defect that has made her abnormally obese, according to doctors treating her. She weighed 498 kgs before she went under the knife at a hospital in Mumbai. Eman was currently under the observation of a city-based bariatric surgeon Muffazal Lakdawala, and his team of doctors. Eman has mot moved out of her house for 25 years.